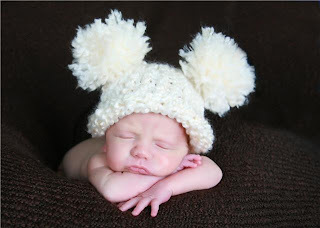 Debi’s Creations is offering an Ivory Fluff PomPom hat to one of my readers! “Like” Debi’s Creations on Facebook! (+2) – “Like” Beautifully BellaFaith on FaceBook. GIVEAWAY ENDS MAY 12TH AT 11:59PM (CENTRAL TIME). The winner will be chosen at random.org. I will e-mail the winner, and they will have 48 hours to claim their prize. hi, thanks for taking time visiting my site. i'm following you back, hope you have a great day! What great pictures! Thanks for visiting my blog, now following you back! You daughter is adorable! Thanks for following me and I am now a follower of you! Hi there! Thanks for the follow! Appreciate you stopping by!Following you back! That giveaway looks really tempting! Have a good day! Great pictures that you have here.I am now your follower.thanks for coming over to my blog. Visiting from the blog hop. Love the white pom pom hat~ too cute!! I'm following with Google Friend Connect (1). I'm following your blog with Google Friend Connect (2). I “Like” Debi's Creations on Facebook! I like Debi's Creations 18 on Facebook. Thanks for the amazing giveaway! I am following Beautifully Bella Faith on Networked Blogs. Like Debi's Creations on FB. Added her shop to faves on Etsy. Found this through Tightwad in Utah coming to enter Dapper and Dainty. I like Debi's Creations on FB! Thanks for the giveaway! I found this giveaway on Tight Wad in Utah! I Like Debi's Creations on Facebook!